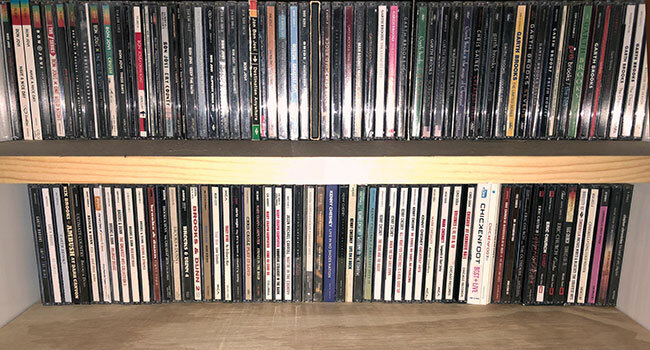 Compact Discs (CDs) used to be the top selling music format with its digital audio. However, since digital downloads and streaming have come along, CD sales have been on the decline in recent years with many retailers cutting their selection. Last year sales were down 18.5 percent in the US but performed better globally. In a new report by Billboard, Best Buy has informed music suppliers that it will pull CDs from their stores as of July 1st. Best Buy used to be the number one music retailer in the United States, but has depleted its selection in recent years to nearly nothing. Unnamed sources suggest that the company’s CD business is only generating about $40 million annually, but they’re still pulling the products this summer. However, Best Buy is planning to carry vinyl for the next two years to keep vendor commitments. The vinyl will be merchandised with the turntables, sources state. We reached out to Best Buy for comment, but haven’t received a response as of this writing. The same sources suggest that Target, which has also reduced its CD intake recently, is demanding to music supplies that they sell them on a consignment basis. Target is currently taking the inventory risk by paying for any goods it’s shipped within 60 days, but must pay to ship back unsold CDs for credit. Billboard says the consignment demand puts the risk back to the labels and not the retailer. Target is also wanting to do the same for DVDs. Late last year, Target apparently gave both music and video suppliers an ultimatum that it wants to switch to scanned-based trading by April 1st or May 1st. It wants to pay for CDs and DVDs after they are sold or scanned at the registers. Music labels are apparently waiting to see how DVD manufacturers react. So far, none have stated what they’re going to do, but at least one major label is leaning no while the other two majors are undecided. Target used to carry more than 800 CD titles, but seems to have reduced its stock to less than 100 titles. Many artists release Target exclusive editions of their CDs, including Taylor Swift, Justin Timberlake and Garth Brooks, but overall, CD sales have dipped. Most recently, Target moved half a million of Taylor Swift’s Reputation, showing it can still push large titles. CDs are far superior than digital downloads in a variety of ways, including high fidelity audio, liner notes, lyrics, etc., but most people have turned to streaming and downloads to consume music. CDs once killed vinyl, but even that has made a comeback in the last decade with Record Store Day. Perhaps in the future a new generation of audiophiles will reignite interest in CDs and we’ll have CD Store Day.